The Sunday Million is the biggest weekly online poker tournament. It runs at Pokerstars and there are loads of satellites into it. 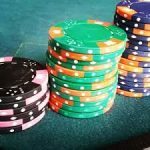 In this article we will list the best Pokerstars Sunday Million satellites for players who want to try and qualify for the Sunday Million without having to pay the full $215 buy in amount. 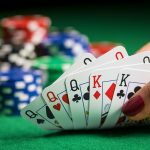 Pokerstars run some of the best satellites in the world for both live and online events including WSOP satellites, EPT satellites and UKIPT satellites. The Sunday Million $11.70 double shootout tournaments on Pokerstars are an awesome way to qualify for the weeks biggest online poker tournament. 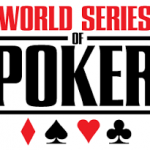 There is a maximum of 100 entrants who are then split up in to two tables of ten players each. The winner of each single table will move forward one final sit and go. The top two players in the final sit and go win an entry ticket to the Sunday Million worth $215 each. You are automatically registered for the Sunday Million so if you want to take the $215 tournament dollars then you must find the upcoming Sunday Million in the Pokerstsrs lobby and un register. The $215 T$ will then be released into your account for you to spend as you please. A great way to use your Pokerstars frequent player points is by entering the 5,400 FPP hyper turbo 6 max sit and go tournaments which lead to the Sunday Million. Once 6 players have registered for the SNG satellite the game starts and the top two finishers win a seat in the Sunday Million. The action comes thick and fast in these hyper turbo games. 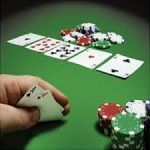 Players start with just 500 chips and with blinds of 25 and 50. Blinds increase every three minutes. If you come third you get your FPP's back, the top two advance to the Sunday Million. The $11 turbo rebuy is another awesome way to win your seat in the Sunday Million cheaply. There is on qualifier to the Sunday Million for every $215 in the prize pool. 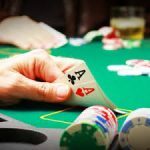 Players start with 1,000 chips and can rebuy for 30 minutes, an add-on of 1,500 chips is available to all players after the rebuy period is over. The blinds start at 10 and 20 and go up every 5 minutes. The number of seats depend on how many entrants there are and how many rebuys there has been. If the prize pool gets to $2,150 then the top ten players in the tournament will win a seat to the Sunday Million. Remember you can un register from the Sunday Million and take the 215 tournament dollars if you want to.